This is a very handy device to have if you are life me and always worry about if your meat is under cooked. It have a very easy to read, large and clear LCD display that displays a color and arrow to show you the temperature of your meat. I love the fact that it also displays a cooking alert temperature too. The button display makes for easy set up to control what temperature you would like to achieve. The temperature prob is removable for easy clean-up. The measure pro has a magnet so it easily sticks to a metal surface. It also has a overcook alarm to help keep me from drying out or even burning meats. This is awesome when I am cooking items that have a prolonged cooking time. This is a great little, store-able gadget that would make a great housewarming gift for the couple that is just starting out of even the seasoned cook for everyday use. It has a wide rang of cooking temps from 32°F to 392°F. medium rare, medium, and well done. The thermometer will beep three different times at three different stages. The first alert is once the temperature gets close to the pre-set temperature, the second alert is once the food reaches the recommended temperature, and the last alert is when the food exceeded its recommended temperatures. You can also set a food to your desired temperature. All you need to do is slide the alert button on the side screen. The current temperature will be displayed. You can then set your desired temperature. Stick the long 36 inch probe into the center of the food, slide the alert button on the side screen, and close the oven door. The thermometer probe's cable diameter is small enough to allow it to be closed in an oven door without creating a heat leak. It has and extra wide measuring range of 32°F to 392°F. Reading are accurate and precise so you can rely on it. 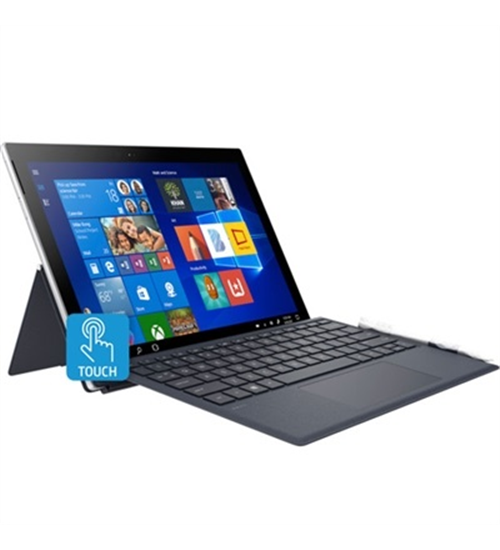 Features a LCD display with large size digits. MeasuPro is intent on reducing worries... and flopped dinners! 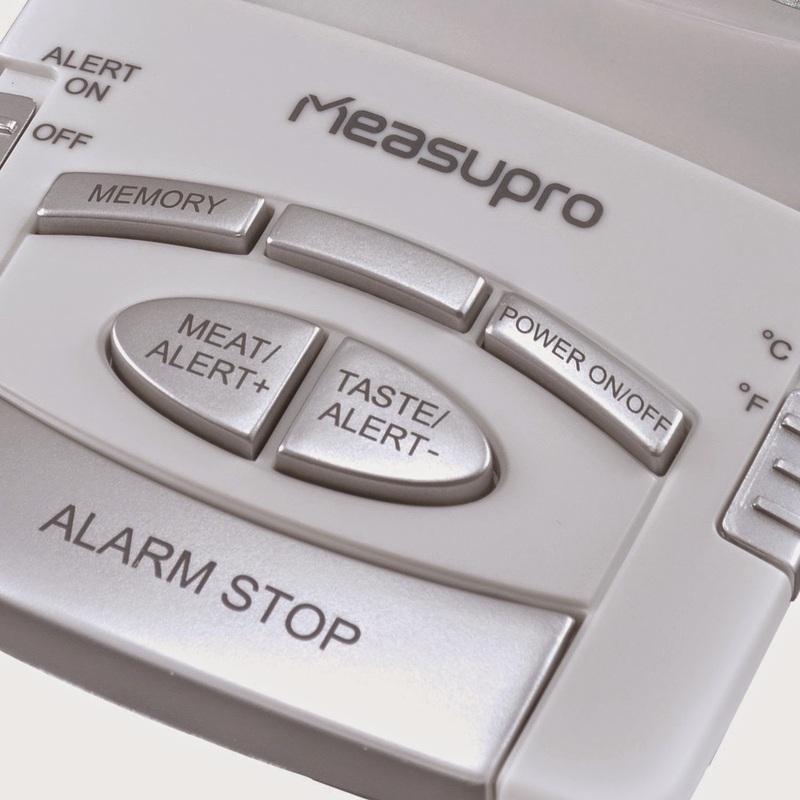 Features - The MeasuPro DCT350 Digital Cooking Thermometer offers a list of meats programmed with the min. cooking temp according to the USDA recommendations. Functions - You can select between Celsius and Fahrenheit modes. Features a long 36 inch oven-safe probe. Readings are ultra-fast and accurate. 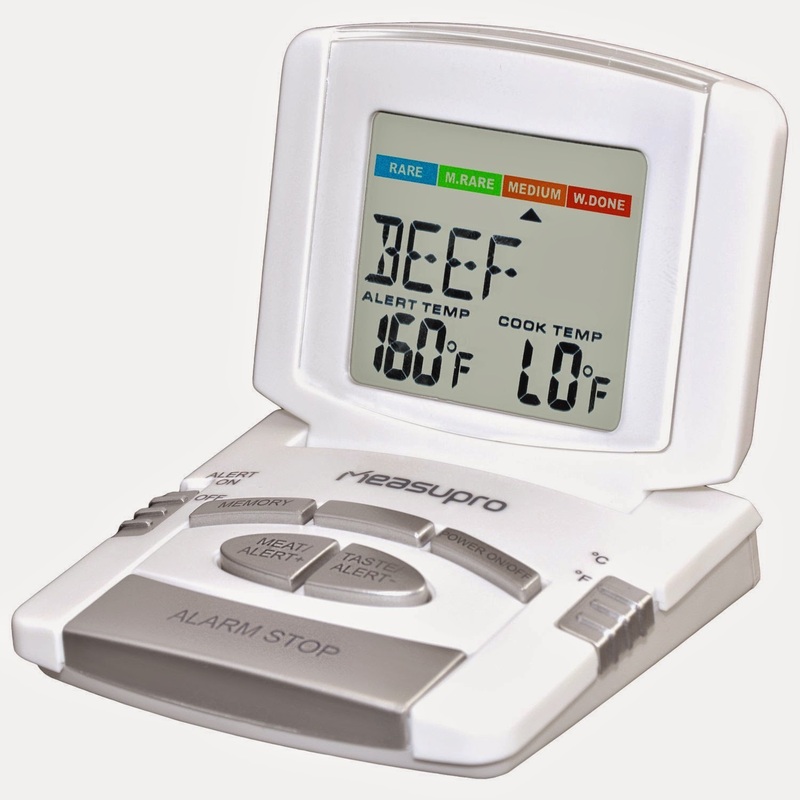 Setting - Temperatures are programmable according to preference or select from the programmed meat options with pre-set temps. Also has 4 options of meat doneness. 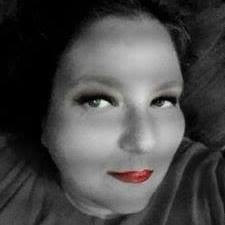 Includes - A list of foods with the USDA recommended min. temp. Has a magnetic back and LCD display. 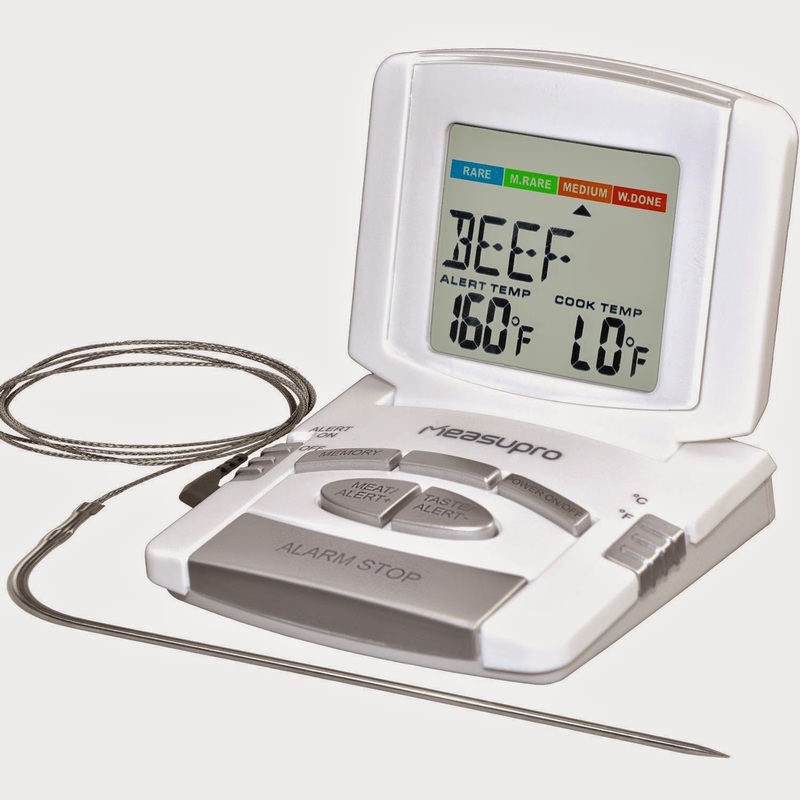 This electronic thermometer will beep when food hits the set temp. Power - Uses 1 AAA battery. The measuring range is from 32°F to a very high heat of 392°F / 0°C to 200°C. Compact flip-top display. Great for commercial, professional use.